Verification and Validation (V&V) activities aiming at certifying railway controllers are among the most critical and time-consuming in system development life cycle. As such, they would greatly benefit from novel approaches enabling both automation and traceability for assessment purposes. While several formal and Model-Based approaches have been proposed in the scientific literature, some of which are successfully employed in industrial settings, we are still far from an integrated and unified methodology which allows guiding design choices, minimizing the chances of failures/non-compliances, and considerably reducing the overall assessment effort. To address these issues, this paper describes a Model-Driven Engineering approach which is very promising to tackle the aforementioned challenges. 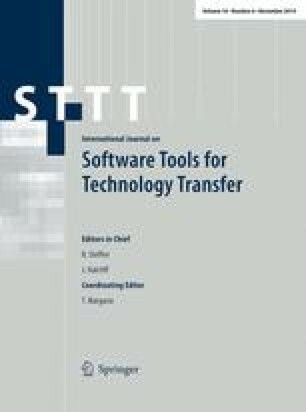 In fact, the usage of appropriate Unified Modeling Language profiles featuring system analysis and test case specification capabilities, together with tool chains for model transformations and analysis, seems a viable way to allow end-users to concentrate on high-level holistic models and specification of non-functional requirements (i.e., dependability) and support the automation of the V&V process. We show, through a case study belonging to the railway signalling domain, how the approach is effective in supporting activities like system testing and availability evaluation. This paper is partially supported by research project CRYSTAL (Critical System Engineering Acceleration), funded from the ARTEMIS Joint Undertaking under Grant agreement No. 332830 and from ARTEMIS member states Austria, Belgium, Czech Republic, France, Germany, Italy, Netherlands, Spain, Sweden, United Kingdom.